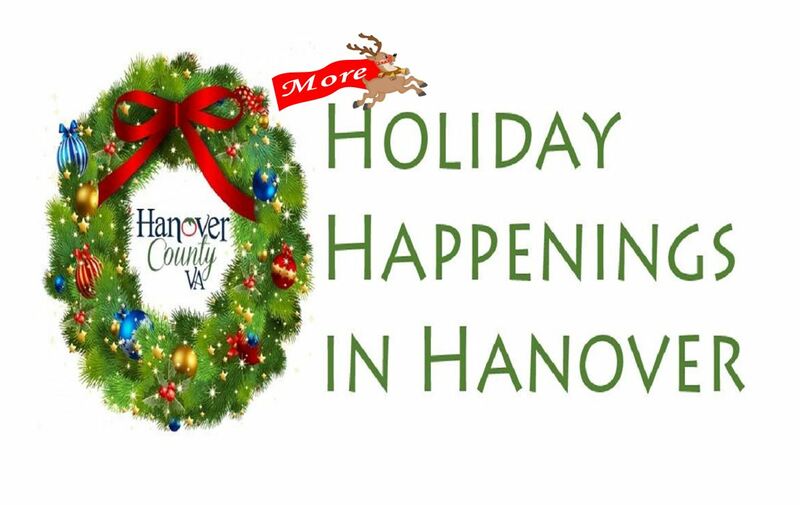 From small community events to historic holiday traditions, there are numerous ways to celebrate the holiday season in Hanover. New this year is the highly anticipated WinterFest at Kings Dominion providing all the sights, sounds, food and experiences of the holiday season. Various dates in December and locations in Hanover. Santa Claus is coming to Hanover County and, with the help of the Fire/EMS department, will be visiting communities for his annual Santa Run. November 23 – December 31. See WinterFest Calendar for dates/times. New in 2018, holiday traditions come to life at Kings Dominion’s WinterFest. Friends and families are treated to an ultimate holiday celebration as the park is magically transformed into a winter wonderland – full of enchantment, cheer and classic family fun. The park shines bright with over 2 million shimmering lights, a 300-foot tree and lavish displays. Twelve live shows and up to 34 strolling performers delight guests and spread Christmas cheer for all to hear. Festive fun and hands-on holiday activities are located throughout the park, and sweet aromas from special holiday dishes and desserts fill the midways. Plus, up to 21 of your favorite rides will be open to complete your night of memory making. Now – December 24, various times. See online schedule. Visit Santa and receive a free photo. Free crafts, games and activities also available. Due to demand, read the requirements for obtaining a dedicated time slot with Santa. Free. Photographs with Santa available for purchase. Come to the Beaverdam Depot to listen to carols of the season sung by local children. Cookies and hot chocolate will be on-hand! Plan to attend the first ever Holiday Street Party to kick off Ashland’s Light Up the Tracks’ month-long celebration. Stroll the mile-long holiday postcard created by outlining every building in the historic district along with railroad tracks. Shop in the local businesses for holiday specials, and enjoy dinner at one of Ashland’s top eateries. Starting at 6:30, a community chorus will sing carols followed by other musical entertainment acts. Check listing for breakfast fees. Beaverdam Volunteer Fire Company & Beaverdam Elementary School (BES) PTA has teamed up for their annual Santa Breakfast. There will be a sausage and pancake breakfast, visits with Santa, vendors, a silent auction and a BES percussion performance. December 1 & 2, Two seatings available each day at 9:00 a.m. or 11:00 a.m. Enjoy a delicious breakfast and visit with Santa! Craft an ornament to take home. Sponsored by the Mechanicsville Rotary Club and the Mechanicsville Ruritan Club, the village parade showcases community talents in the spirit of the season. The 1.8-mile route begins on Hanover Green Drive and travels through nearby neighborhoods and ends on Mechanicsville Turnpike. Proceeds benefit the local Christmas Mother campaign. Refer to the Hanover County Sheriff’s Office page for information about road closures for this event. Free. Please RVSP by emailing: info@montpeliercenter.org. A Grand Illumination of The Center’s lovely grounds will be followed by a choral performance, a reading of “Twas the Night Before Christmas”, and tasty holiday treats. Other businesses in Montpelier will also be illuminating their buildings. Tickets must be purchased prior to the event. See post for details. Enjoy breakfast and a free photo with Santa. Seating is limited. All proceeds benefit The Arc of Hanover! Free. Photos with Santa are available for purchase. The Montpelier Center will be transformed in to Santa’s North Pole. Visit with Santa and enjoy snacks, crafts and activities. Shop the market filled with handcrafted, locally made gifts to enrich your holiday shopping needs. Exhibitors will include crafters, artisans, and farmers. Admission fees apply. Ages 18 years or older only. Imagine it is 1772. Your host, Patrick Henry, meets you at the door, welcoming you to his Christmas party. Dancers teach you the latest 1772 dances. Between sets, you sit and play parlor games or enjoy light 18th century refreshments. You also mingle with other 21st century guests as you enjoy visiting the house Mr. Henry called home from 1771 until he moved to Williamsburg in 1776 to become the first elected Governor of the new state of Virginia. Free. Merchandise available for purchase. Attend this one-day market where 13-15 handcrafted vendors will be on-hand at the brewery for your unique gift shopping needs. Proceeds will benefit a local charity! There will be holiday music, a phenomenal food truck, and delicious beers flowing all day long. Dinner menu and reserved seating at 6:30, 7:00. and 7:30. Dinner prices range from $10-$22. Open general seating for show only at 8:00 with Bar Menu, available. Admission fees apply. Tree lighting is free. Celebrate both the quietness and unrestrained joy of the holiday season with The Patrick Henry High School Madrigal Singers. The Madrigal Singers, under the direction of Jacob Devol, will perform highlights from a repertoire dating from the late Renaissance period to the present including many winter and holiday favorites. Immediately following the concert, the Madrigals will lead a carol-sing and tree lighting. Cookies and hot chocolate will be served. Holiday dinner specials will be available before the concert. Reservations required. Brunch fees apply. Come out and visit with Santa and have brunch with him! There will be holiday arts and crafts and photo opportunities with Santa. Please bring your own camera. Shop local! Enjoy locally made crafts from your neighbors, and satisfy your sweet tooth with cookies to buy by the pound! Bring your holiday spirit and smiles for a free picture with Santa! Optional donations will be accepted benefiting the Children’s Hospital of Richmond. As part of Ashland’s Light Up the Tracks event lineup, here’s your chance to meet jolly old St. Nick, Mrs. Claus and Rudolph at the newly renovated Ashland Theatre! Enjoy photo opportunities and be among the first to see the newly restored entertainment venue. Use this link to the access the winery’s calendar of events for more information and to purchase tickets. James River Cellars Winery is open seven days a week. Closed Thanksgiving Day and Christmas Day. During the month of December events include Holiday Canvas Paint Nite, Cookie Decorating, a Holiday Showcase, a Monogram Paint Party and a Tacky Sweater Happy Hour. Events scheduled the first four Saturdays in December. Get into the holiday spirit with marching bands, a holiday concert and a visit with Santa. See their events page for details. Try your hand at a wreath-making class or attend a holiday market with local vendors, artists and craftsmen.